Come to main Street Anamosa to see some very impotant guests! 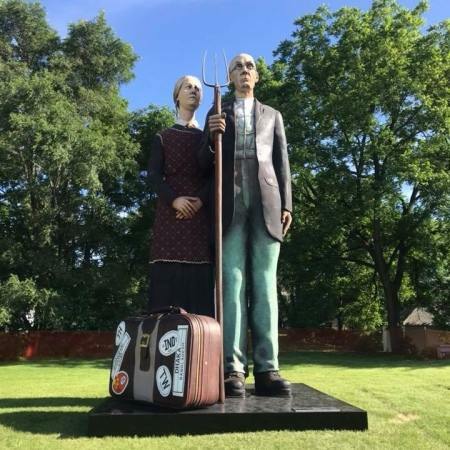 The American Gothic inspired “God Bless America” statue is making its home in Anamosa for the next 10 months. 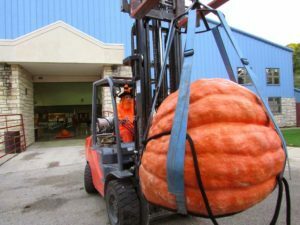 This 25 ‘ tall, 27,000 lb statue depicts one of Grant Woods most famous couples. They love visitors! Location of statue is the 300 block of Main street, between Wapsi Physical Therapy and Remley, Willems, McQuillen & Voss law office.